A village in Crete could provide the missing link in the battle against heart disease, researchers have found. The high-fat Greek diet, typically rich in cheese, lamb and pastries, should cause most people health problems. But the inhabitants of Anogia, and the surrounding area, nestled high in the island’s mountain range, appear to have developed a rare genetic mutation, protecting them from the risks posed by obesity and weight-gain. A team of researchers from the Wellcome Trust Sanger Institute in Cambridge have discovered that the variant, which decreases levels of bad fats, is 40 times more common in the isolated Cretan community. They hope the discovery could be a key piece of the puzzle, which has intrigued scientists and health experts for years. The protective genetic variant, known as R19X, was first found in the Amish population in 2008. Project leader professor Eleftheria Zeggini said she is hopeful the protection afforded by the variant could be replicated in other people, to lower the incidence of heart disease across the world. The study, published this week in the journal Nature Communications, involved scientists examining samples taken from 1,200 villagers. They found R19X, a genetic variant in the gene APOC3, was far more prevalent in this population than in other European communities. The variant reduces the level of blood fat, that can increase the risk of heart disease. And it increases the levels of high density lipoproteins, also known as ‘good cholesterol’, lowering the risk of heart disease. In other European populations the R19X variant is found in 0.05 per cent of people. But in Anogia and the surrounding villages it is found in two per cent of the population. 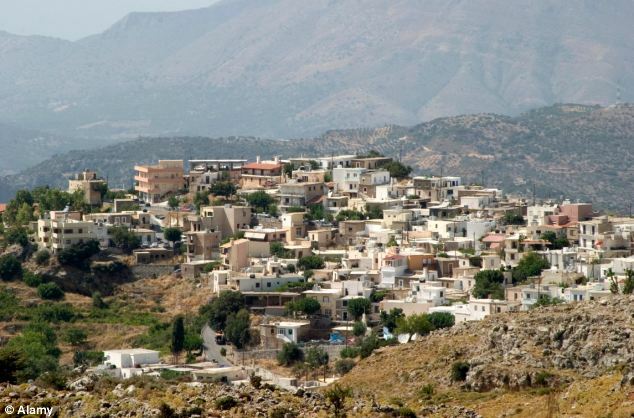 ‘The Mylopotamos villages residents have the same rate of diabetes as the general Greek population, but do not suffer from disease complications,” said Professor Zeggini, lead author of the study. ‘Genetic studies like this can help us begin to understand why this is. 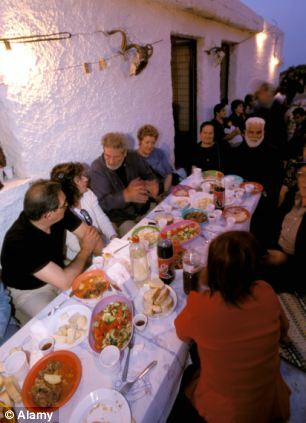 ‘The Mylopotamos villages residents have the same rate of diabetes as the general Greek population, but do not suffer from disease complications. ‘Our work exemplifies the importance of studying these isolated populations,’ said Dr Ioanna Tachmazidou, first author from the Wellcome Trust Sanger Institute. ‘APOC3 is a gene that is relevant to all populations. Emmanouil Tsafantakis, from the Anogia Medical Centre, told the Times that while he sees people showing the warning signs of diseases like diabetes, their symptoms rarely develop that far. She pointed to the example of a patient in his 90s who was apparently healthy, but had a much higher-than-normal blood pressure, recording a systolic blood pressure of 190, where the healthy limit is 120. 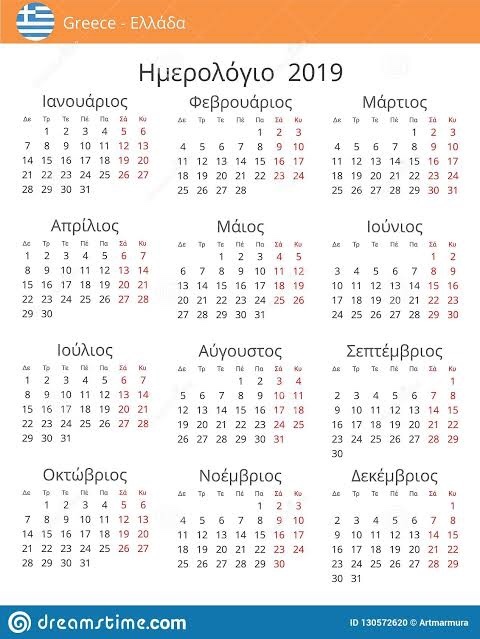 A past study of heart disease in the area revealed around 40 of 100,000 men died of ischemic heart disease each year, compared with 140 in Greece. The researchers believe the remote nature of the community has resulted in the rare variant becoming more common, in the last few hundred years.